What makes the Komo Mio Mill different? It mills grains to a large range of textures, from super fine, to coarse. It's fast! You can grind 8 to 9 ounces to bread texture per minute. It has a very small footprint. It's no larger than a blender, so you can keep it on your kitchen counter without losing much real estate. It's sturdy, but not too heavy. I am able to easily carry it, yet it does not move on your counter when in use. It's easy on the ears. While it does make noise, it's not much louder than a food processor or a blender. It has a 12 year warranty. It's definitely built to last. It's gorgeous!!! I love the wood case with the red trim on mine, but you can get one with black, white, green, or yellow trim if you prefer. Operating this mill is super easy. All you do is turn the hopper so that the little black dot is pointing to the grind you need. Why should I consider getting a grain mill? First, if you like baking with whole grains, milling your own makes a lot of sense. Whole grain flour, such as whole wheat flour, can get rancid when sitting in the pantry. If you mill your own whole wheat, you can just measure the amount of grain you'll need and use it immediately for the freshest results. 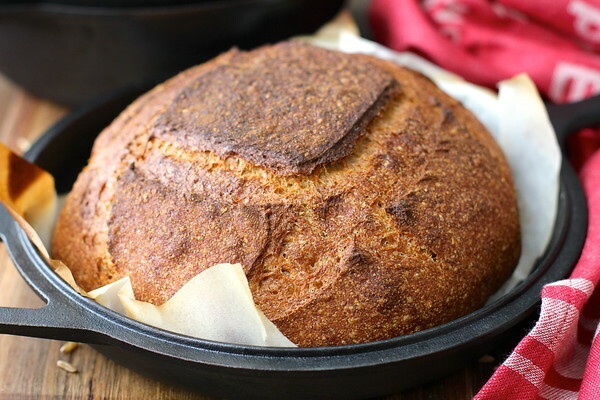 Second, if you like baking artisan bread and experimenting with various types of grains such as Kamut, spelt, triticale, rye, or sorghum, grinding your own flour gives you a chance to blend various ancient grains in your loaves. You can buy just the right amount of the berries in the bulk section of the grocery store, or purchase grain in bulk from Pleasant Hill Grain, and then mill them yourself right before mixing and baking your bread. 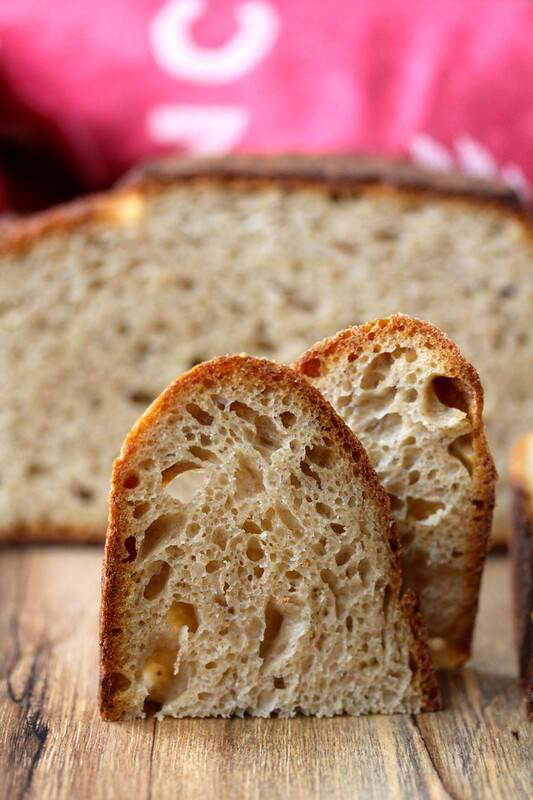 For example, I wanted to make a sourdough bread with Kamut (khorasan wheat), an heirloom grain originally from Egypt. I couldn't find Kamut flour, but was able to find a bag of Kamut berries in my grocery store and grind my own. One thing that you need to know about grinding your own flour is that it can be pretty thirsty, and the recipe may need more water that you are used to adding. This dough for this bread was almost 100 percent hydration (equal parts water to flour by weight) to achieve a soft airy interior. If you'd like to win one of these gorgeous mills (U.S. deliveries only), all you have to do is follow Pleasant Hill Grain (@PleasantHillGrain) on Instagram by December 3, 2018. 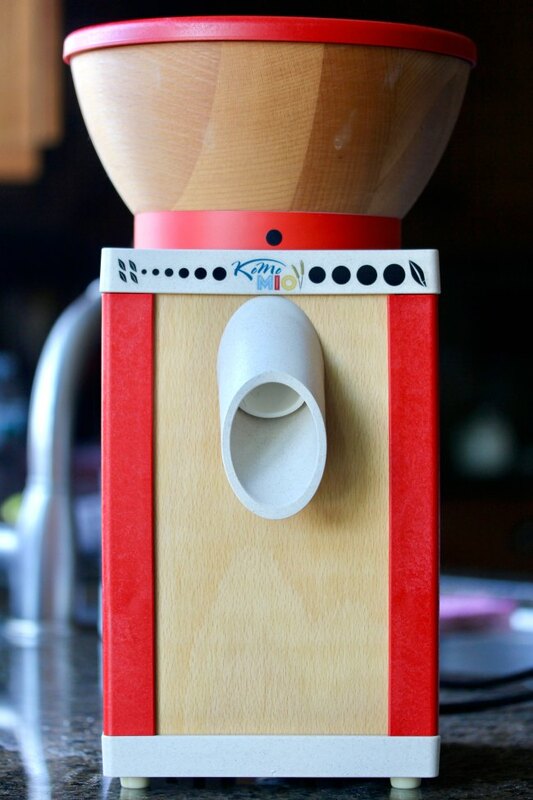 Leave a comment here letting me know what color you would like for your Komo Mio Grain Mill. The winner is Laura S. of Kellogg, ID. You can see the colors here on Pleasant Hill Grain's website. Learn more about Pleasant Hill Grain here. They are a family owned business in Nebraska with excellent customer service. 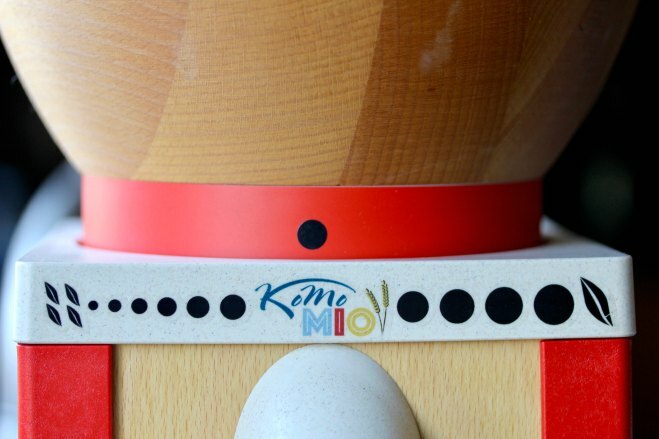 Learn more about the line of Komo Mio Grain Mills here. Wow, it would be amazing to win one of these beauties. I've entered and commented how nice the mint green one is, so I will keep everything crossed. Your bread looks outstanding. Just started following them. The yellow one would be great in my kitchen. I entered!! Or at least I believe i did! Having one of these mills would be such a blessing to our family! I love baking bread, but always feel bad about using store bought all purpose flour.. I follow on instagram (@thehippiehut32) and I would love a mint green mill! Thanks for this chance! I followed on instagram(Kellywcu) I think I would go with the black.